This new addition to the modular P320 lineup offers the same ergonomics and operation as its big brother but in a covert-carry package. 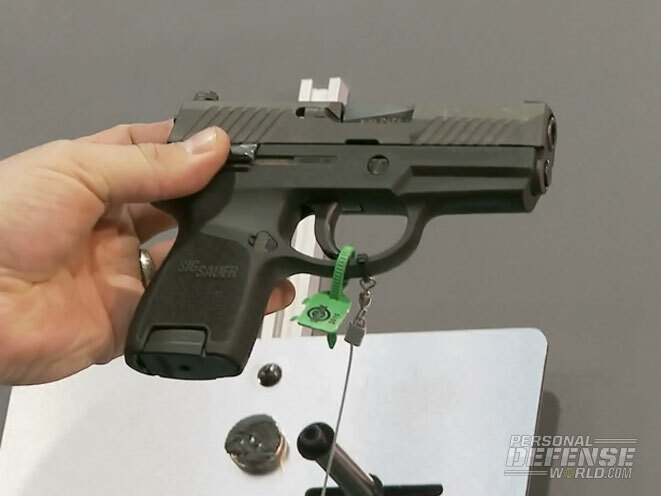 Sig Sauer’s P320 line has come to define modularity in the modern handgun marketplace. Offered in the Full Size, Carry, Compact and the new Subcompact models, the P320 weapon system is built to handle any defensive or duty need in the real world. The P320 series also now includes chamberings in 9mm, .357 SIG, .40 S&W and the soon-to-arrive .45 ACP. The new P320 Subcompact features a 3.6-inch barrel, a 6.7-inch overall length and a weight of only 25 ounces. Like on all P320 models, users can swap out the pistol’s barrel, frame, trigger and slide assembly to customize the gun. Each pistol’s slide rides on all-metal rails in a solid stainless steel frame for greater stability. The pistol’s serialized trigger unit lets you change everything from size to caliber to grip at will. Built with stainless steel frames and slides and covered in a Nitron finish, the striker-fired P320 pistols all feature polymer grips and the option for SigLite Night Sights or contrast sights. 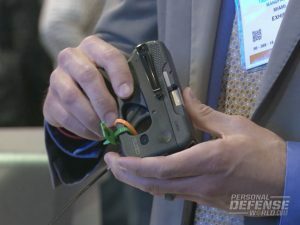 Trigger pull on all pistols in the line are weighted at 5.5 to 6.5 pounds, giving operators a consistent trigger pull across the entire platform. For more information on Sig Sauer’s P320 series, visit http://www.sigsauer.com or call 866-345-6744.